Dentist Brookhaven: So what exactly are dental veneers? Veneers are wafer-thin laminates or shells of tooth-colored material (which can be either porcelain, ceramic or composite bonding material). 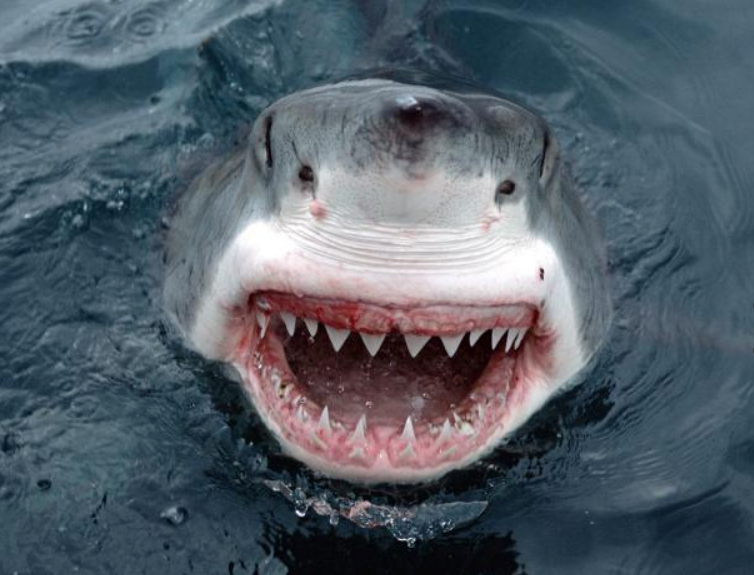 They are bonded (cemented) to the front surface of teeth to improve their cosm etic appearance. It’s really not that much different from brick on the front of one’s home. Many dentists use the alternative analogy that dental veneers are for your teeth what false fingernails are for your hands. 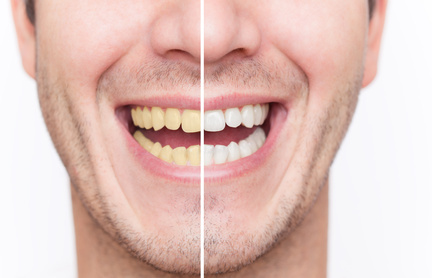 Stained teeth – badly stained or discolored that cannot be improved by teeth whitening or prophyflex treatments can be greatly improved by dental veneers, which function to cover any existing stains on your teeth. Damaged teeth – teeth that have become badly worn through excessive grinding or by carbonated drinks, as well as those that have been chipped or broken, can benefit from veneers. A small chip on a tooth can quickly be repaired with composite bonding, also known as “composite veneers”. A single damaged tooth can easily be repaired with a porcelain veneer that has the same characteristics and color as you natural teeth. Gaps – spaces or gaps (technically termed as a diastimas) between your teeth can easily be closed using dental veneers, giving you a more uniform-looking smile. Crooked teeth – Veneers are not the ideal treatment for crooked teeth, and from the point of view of preserving your natural teeth structure, orthodontics or Invisalign braces would probably a better solution. However, this type of treatment can take up to a year or longer and be significantly more in cost to accomplish. For teeth that are not severely crooked, veneers placed over their front surface will give a straight and perfectly aligned-looking smile. For this type of treatment, many people refer to veneers as “instant orthodontics”, as you get a similar end result in a fraction of the time. The most popular type of veneer is porcelain, which offers a stronger and more durable alternative to its composite counterpart. Composite veneers are also more prone to staining and do not last as long as porcelain veneers. Porcelain veneers also offer a more natural looking, translucent appearance. Composite veneers are much cheaper than porcelain veneers in general, but considering that they do not last as long and need replacing more often, they could end up costing more in both time and money in the long run. Composite work is ideal for small chips, as this treatment preserves more of your natural tooth structure. Porcelain veneers will typically last between five and ten years, while composite veneers last a year or two at most. The bottom line is that your veneers will eventually need to be replaced. Although veneers are strongly cemented into place, there have been cases where they come loose and fall off. In such situations, it is important that you keep hold of your veneer and contact your dentist immediately. To make your veneers last longer, follow a good oral hygiene program and visit your dentist for check-ups on a regular basis. If you have any questions or would like to schedule a complimentary appointment to see if you’re a candidate for veneers, please contact us. Dentist Sandy Springs: Teeth Stains? The benefits of teeth whitening are amazing. Drinks: Coffee and tea tend to stain teeth. Periodic professional cleanings and in-office tooth whitening reverse these effects. Tobacco: Smoking and chewing tobacco have an adverse effect on tooth color, gingival health, and breath. Quit smoking. But if you’re not, periodic in-office cleanings and profession tooth whitening minimize the discoloring effects of smoking. Dental Restorations: Metal restorations tend to breakdown at the edges and may reduce the transparency of tooth enamel. Replacing metal fillings with tooth colored composites or porcelains reverses these effects. Even tooth-colored restorations stain with time and may need replacement. Age: With aging comes tooth staining. The outer tooth enamel wears down with time, causing teeth to turn more yellow. Porcelain veneers or dental bonding replace that worn layer and restore the youthful glow of teeth. Chemicals and Medications: During the tooth development of a child, certain antibiotics such as tetracycline or excessive ingestion of fluoride can cause permanent tooth staining. Though these stains cannot be cleaned or whitened, porcelain veneers or composite bonding can give the stained teeth a new look. In addition to the causes listed above, trauma and genetics play a role in changing tooth color. Keep your teeth whiter and brighter by regular dental cleanings (which usually include stain removal and polishing) and ask us about our cosmetic options to get the right smile. Thank you for all your referrals. We truly appreciate them. be sure to consult your dentist. A porcelain veneer provides an excellent match. They can run anywhere from $925 to $2,500 per tooth. And yes, veneers can be quite expensive but if done correctly the process is quite tedious. But they do offer several benefits, including a distinctly improved smile. First, what are veneers? They are extremely thin custom made covers for the front surface of the teeth. They can be made from porcelain or direct composite resin. While porcelain veneers are more expensive than composite, they last much longer and are more stain resistant. Traditional composite veneers last on average between five and seven years while porcelain veneers last between 10 and 18 years. Veneers are used for a variety of purposes. They can be used to fix chipped or broken teeth or teeth that have become discolored by root canal work, excessive fluoride, or drugs such as tetracycline. 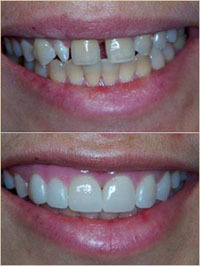 Veneers can also be used to correct misaligned teeth or ones with gaps between them. But the most common reason for veneers is cosmetic. They can be used to change the length, shape, size and color of teeth. In effect, they can be used to create a designer smile. Because veneers are considered a cosmetic procedure, they generally are not covered by insurance. In some cases, depending on the insurance company and the policy coverage they may be eligible for a dental discount. The amount and availability of this discount varies widely. In special circumstances some insurance may pay up to 50% depending on the type of policy. To offset the high cost of veneers, most dentists offer special payment plans. Dentist Sandy Springs: So what exactly are dental veneers? Veneers are wafer-thin laminates or shells of tooth-colored material (which can be either porcelain, ceramic or composite bonding material). They are bonded (cemented) to the front surface of teeth to improve their cosmetic appearance. It’s really not that much different from the brick on the front of one’s home. Many dentists use the alternative analogy that dental veneers are for your teeth what false fingernails are for your hands. 1. The first part of any dental procedure is the initial consultation and examination, so that the dentist can get a feel for what you want and understand your needs and concerns. The dentist should explain the treatment procedure to you and give you an accurate guide to the likely costs of your treatment. 2. Before your veneers are designed, your dentist will need to reshape and prepare the front surfaces of your teeth so that they can accommodate the veneers. The first stage is to numb the teeth and gums with a local anesthetic so that you do not feel anything during the procedure. 4. Next, an impression or mold (copy) of your teeth is taken. A special dental “putty” is placed into your mouth on a tray and pushed into your teeth so that it takes an imprint of your teeth (similar to how you would leave a footprint in sand). 5. This “impression” or mold of your teeth is then sent to a dental laboratory. The laboratory uses the impression to cast an accurate model of your teeth, which is used as a guide to fabricate your new veneers. This process can take between one and three weeks. 6. While you’re waiting for your veneers to be fabricated, your dentist may fit you with some temporary veneers to protect your prepared teeth. Not all dentists will offer temporary veneers. 7. On your second appointment, your dentist will fit your new veneers to your teeth. First, the dentist may just sit the veneers over your teeth to see how they look with your smile, as he/she may need to trim or adjust the veneer. 8. Next, your teeth will be thoroughly cleaned and the front surfaces etched (roughened) with a special acid gel so that they provide a good surface for the dental cement to stick to. 9. The veneers are then cemented into place, and a special curing light is used to activate the dental cement so that it permanently bonds the veneer to the front surface of your prepared tooth. If there is any excess cement, it is usually trimmed away and polished to leave a beautiful and natural-looking restoration. Is it possible to have veneers fitted on the same day? Usually, porcelain veneers are placed over a minimum of two visits as described above. A few cosmetic dentists have invested in CAM/CAD in-house ceramic studios such as E4D or CEREC, which can custom-produce high-quality ceramic veneers on-site in as little as six minutes. This technology enables the dental practice to offer single-visit, same-day ceramic veneers which are fitted within an hour. What about Lumineers? What are they? Lumineers, are similar to standard porcelain veneers, but are fabricated made from a patented cerinate porcelain that is extremely thin (about the thickness of a contact lens) and very strong. With Lumineers, the tooth surface does not need to be trimmed, so the procedure is quicker and totally painless. A similar ultra-thin veneer system to hit the market are Durathin veneers. www.lumineers.com or www.durathinveneers.com. What are da Vinci Veneers? Da Vinci Veneers are similar to Lumineers in that they are extremely thin veneers that are often used for smile makeovers. They are only manufactured in the da Vinci laboratory in California. What are MAC Veneers ? Mac Veneers are made from pressed ceramic, giving more strength than standard feldspathic veneers. They are an ideal veneer choice for smile makeovers. Dentist Alpharetta: How much do Veneers Cost? So how much do dental veneers really cost? The cost for porcelain veneers varies widely. They can run anywhere from $925 to $2,500 per tooth. There are several reasons for the difference in cost and it also varies widely across the United States. And yes, one might consider veneers to be quite expensive but they do offer several benefits. One of which is a distinctly improved smile. Your smile is the first thing people notice about you which is the primary reason people want porcelain veneers. If we can be of service or you have any questions, please feel free to contact us. Dentist Roswell: So what exactly are dental veneers? Veneers are wafer-thin laminates or shells of tooth-colored material (which can be either porcelain, ceramic or composite bonding material). 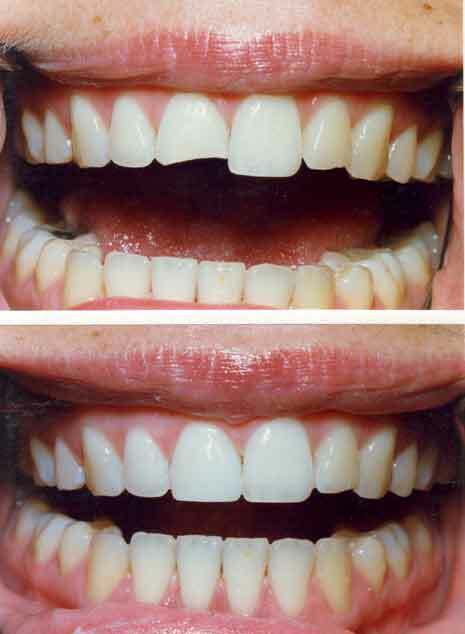 They are bonded (cemented) to the front surface of teeth to improve their cosmetic appearance. It’s really not that much different from brick on the front of one’s home. Many dentists use the alternative analogy that dental veneers are for your teeth what false fingernails are for your hands. Lumineers, are similar to standard porcelain veneers, but are fabricated from a patented cerinate porcelain that is extremely thin (about the thickness of a contact lens) and very strong. With Lumineers, the tooth surface does not need to be trimmed, so the procedure is quicker and totally painless. A similar ultra-thin veneer system to hit the market are Durathin veneers. One of the problems with Lumineers is that usually require the dentist purchase/produce a certain number of patient cases to be on their system/plan. www.lumineers.com or www.durathinveneers.com.